I'm totally loving that The Great British Sewing Bee, series 2 is screening again in the UK, on BBC Two. If you haven't seen season one, it's a British reality show, devoted to finding Britain's best home sewer. (If you haven't, go and find it. Really!) It's not being broadcasted here in NZ, so I'm having to wait patiently for each episode to be posted on You Tube. Last time I didn't find out about it until the whole season had aired, so I binged on the whole series in one night. Only four episodes though! Great background watching with a project in hand. This time the series will be twice as long. I'm so in love with this show... it could almost be my new favourite. It's my kind of reality TV. The contestants seem to be a supportive bunch, giving each other little high fives along the way, kind of quirky and quaint, with none of the bitchiness of other reality shows like Project Runway. I love that it's actually about sewing, rather than about personalities! And that the person with the best overall skills wins. As much as I love Project Runway, and the drama of it, I wish they would cut out some of the back stabbing and petty disagreements and show more of the detail about how they actually construct a garment. The Great British Sewing Bee gets down to the nuts and bolts level. In series one, the projects ranged from some pretty straightforward stuff like making an a-line skirt to some more difficult things like constructing a jacket to fit a live model. Of course there are the some of the usual reality TV scenarios like having tight time constraints to make something. I admire the contestant's ability to perform under that kind of pressure. When I get stuck, I often just leave it a week (or longer) or start something new. 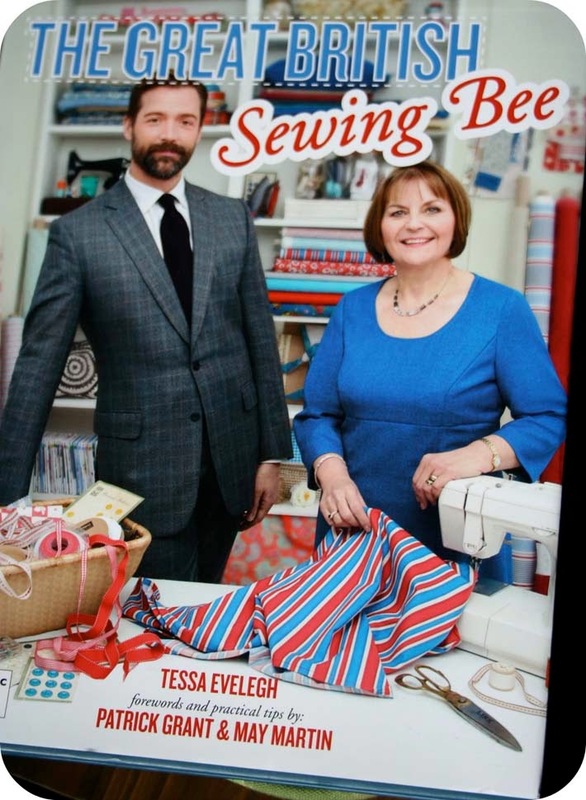 I enjoyed getting to know the judges in season one, the lovely Savile Row tailor Patrick Grant has the swoon factor and sewing teacher May Martin, from the Women's Institute, is so knowledgable and they both have such a wealth of experience. It was interesting to hear their take on all of those little details that are so important in getting a home sewn garment just right. My least favourite part of the first series were the tutorials, which were a bit rushed and not all that practical. This time they seem to be adding in little clips on the history of fashion and tailoring in Britain in its place, which I find a bit more interesting. I'm not the only one going on about it either! Gertie is also a fan. I've heard that they are casting for series 3 already too, so that's something to look forward to. Apparently a similar show is in the works in the US too. Ring a ding DING! I know! Go YouTube. There are two episodes on there so far. Fishing? :) I know what I'd rather be watching! I loathe 'reality' TV but I reckon I could get hooked on The Great British Sewing Bee. I live in ireland so it's broadcast here, I love it and I'm amazed by what they can do, did you see them making anoraks? Anoraks for gods sake, amazing!!! And I think it's helped along by the fabulous Claudia Winkleman hosting it. Ooooh I just loved the first season too, and had given up on youtube for this one... so glad I know I can track it down to watch. Me too Ange! Although it does affect my productivity :) I reckon the second season is better... twice as long and more difficult challenges. Worth checking out.